In addition to creating a beautiful website there may come a time when you need to add a little extra user experience into the mix to help deliver that wow factor. One simple addition that can create an interesting effect is smoothly scrolling to elements on your webpage with some type of click action by utilizing jQuery. This type of light weight animation while simple to produce can often impress end users. In this tutorial we will teach you how to easily scroll to a specific element on your webpage using jQuery without the need for a plugin. In the second step we will need to set up the basic HTML elements which consist of the link element and the target element. This is just an example on how to set up the HTML elements, you may need to modify and adapt this structure to fit your needs. Since this is just a basic example on how to set up the HTML elements, we are not providing any CSS; you will need to style this according to your needs. Please pay attention to the link element’s class and ID, these will both be referenced in the jQuery code. Remember that you may only use 1 ID per webpage, so make sure that you are setting up unique ID’s for each target element. In the third and final step we are going to utilize jQuery to create the animation that will smoothly scroll to the target element after the link element is clicked. 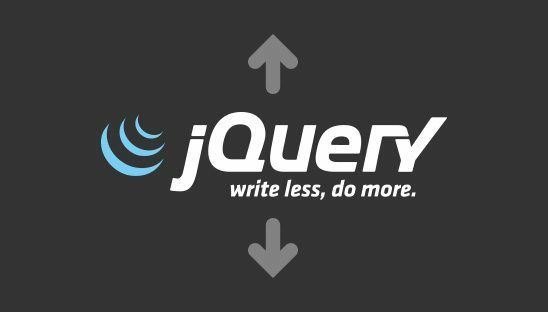 You’ll want to add the jQuery code below to wherever you like to keep your jQuery (we recommend in the footer). Make sure that the referenced CSS classes associated with the jQuery function and the actual link element are the same. The target element’s ID is being utilized automatically in the jQuery function. If you want to control the speed of the animation, adjust the number 500.